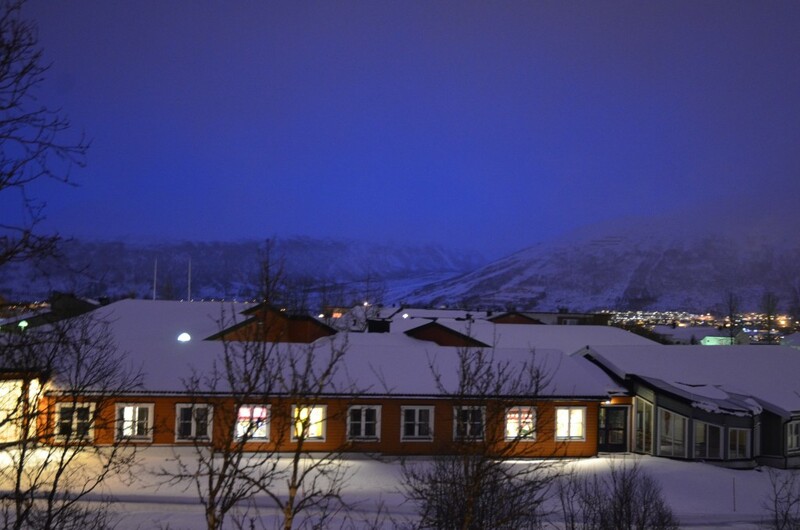 I’m currently in Tromsø, Norway where the Arctic Frontiers conference is taking place all week at the local university. Today’s program featured several high-level politicians, including the foreign minsters of Norway and Sweden, the Canadian Minister of Health and the Canadian Northern Economic Development Agency, the Deputy Secretary of Russia’s Security Council, and the Lieutenant Governor of Alaska. The Norwegian and Russian contingents were particularly strong. Non-Arctic states were represented as well, with the ambassadors to Norway from China and Korea doing their best to convince the audience that their countries not only have valid contributions to make in the Arctic, but should also be accepted as permanent observers to the Arctic Council. Swedish Foreign Minister Carl Bildt discussed the potential of the Northern Sea Route and the seventh journey of his country’s icebreaker, the Oden, to the north pole – all this even though Sweden has no coastline on the Arctic Ocean. He also underscored the growing problem of global warming, lamenting the ceaseless opening of new coal-fired plants in developing countries like India and urging that the Arctic states put black carbon issues higher on the agenda. At the same time, he acknowledged the role of mining in the Arctic: Sweden itself has the world’s largest iron ore mine, in Kiruna, while another massive iron ore mine is slated to open on Baffin Island, Nunavut. The Arctic, then, is not totally blameless when it comes to the perpetrators of carbon emissions. The Canadian Minister of Health and the Canadian Northern Economic Development Agency, Leona Aglukkaq, described the need for development in the North that serves the people of the North. 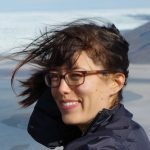 Raising the quality of life in the Arctic is a difficult task given that in Nunavut, for example, is the same size as Western Europe yet has a mere 25 remote communities, all of which are only accessible by air or water. Aglukkaq, who is of indigenous descent, highlighted the need to “build a bridge between the people who live there and their traditional knowledge with the present.” Canada will be the next chair of the Arctic Council, and she discussed that her country’s priorities as chair will be responsible Arctic resource development, safe Arctic shipping, and sustainable circumpolar communities. Maria Damanaki, Commissioner for Maritime Affairs and Fisheries, European Commission represented the EU at the conference today. This being Norway, where fish exports hold a politically important role (even though their economic importance is minor compared to oil and gas exports), her talk was probably quite relevant to many in the audience. Still, I have to wonder why the EU chose to send the Commissioner for Maritime Affairs rather than, say, the EU Arctic Forum Secretary General, Steffen Weber. Showing the importance of the Arctic as a source of resources for Europe aside from the typical hydrocarbons and minerals, Damanaki mentioned that one-third of the fish caught in the Arctic end up on European plates (I’m guessing the rest go to North America and Asia). Haakan Bruun-Hanssen, Vice Admiral and Chief of Norwegian Joint Headquarters, affirmed that the “race for resources is highly unlikely,” even though “access to resources may lead to increased militarization.” He also talked about the Northern Sea Route in perhaps less gung-ho terms than the Russians, stating that shipping will be determined by “profit, safety, and reliability” and that the areas in which Arctic shipping will occur are still challenging in terms of climate and are scarcely populated and underdeveloped. “As activity increases, so will the likelihood of accidents,” the chief somberly noted. He connected the rise of shipping with the increase in the presence of military vessels, which he said are more and more serving a constabulary role. The presence of a growing number of military vessels in the Arctic is a “normal activity that shouldn’t be an indicator of an arms race.” Bruun-Hanssen said that Norway does not consider any of the Arctic states at present as a military threat. Quite the opposite is the case, as he mentioned the close cooperation and frequent meetings that the Norwegian military has with its Russian counterpart. “Military presence in a proportionate and considerate manner contributes to stability,” he closed. Rolf Tamnes, professor and program leader for GeoPolitics in the High North, gave a broad overview of the political shifts taking place in the Arctic. He noted that the dream of navigation, communication, and extensive trade between Europe and Asia was finally becoming reality. I think he might have overstated it in some areas, though; for instance, he mentioned that LNG exports from Norway could soon go to the U.S., although with the fracking boom in the Lower 48, I don’t envision this as actually happening anytime soon. Terminals in the US that were originally built with the purpose of receiving LNG deliveries might soon be actually exporting LNG. A more realistic destination for that Norwegian LNG might be East Asia. 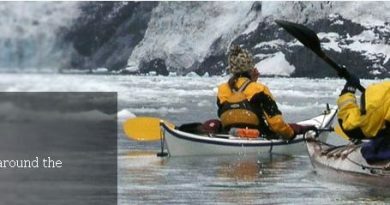 Tamnes also admitted that there are challenges to the spirit of Arctic cooperation, namely that the Arctic Council’s mandate is at once “too large and too small.” Members have a lot – maybe too much — to discuss — everything from environmental protections to economic development to oil spill prevention. At the same time, the Council is too small to deal with the problems facing the Arctic that are global in scale, such as climate change, shipping, and arms control. But at the end of the day, Tamnes said that the “problems should be manageable.” He asked, “They were in the Cold War — shouldn’t they be today?” Perhaps the difference between the Cold War era of the Arctic and today, though, is that there are a lot more interested parties, namely the Far East states. In the long term, Tamnes described that the Asia-Pacific markets will significantly increase their demand for natural gas. This, combined with their strong commercial and possibly military footprint, means that “the Arctic will transform.” Tamnes concluded that there are now new strategic priorities in Beijing, Tokyo, and Seoul, which brings me to the next speakers (skipping over the talk by the President of ConocoPhillips Europe for now): the Ambassadors to Norway from China and the Republic of Korea. Both ambassadors spoke about the need for cooperation, using words like “future generations,” “mankind,” and “commons.” Both ambassadors, too, were essentially trying to convince the audience of why their respective countries merit permanent observer status in the Arctic Council. Zhao Jun, Ambassador to Norway for the People’s Republic of China, cast China as a “near-Arctic state.” This term itself might make some of the Arctic states more concerned with sovereignty and territory fear that China is encroaching on their territory. Ambassador Zhao spoke of the northeastern part of China as being close to 50°N, meaning that it’s “influenced by changes in the [Arctic].” China therefore has an interest in researching climate change. Ambassador Zhao opined, “We hope that the Arctic Council can continue being a platform for Arctic and non-Arctic states,” jumping the gun a bit, as it’s not clear that it is yet a platform for non-Arctic states, though it could become more of one if they are granted permanent observer status. Based on Ambassador Zhao’s speech, the three key words for China in the Arctic seem to be “peace, stability, and the sustainability of the Arctic,” even though others might think of the country’s main interests in the north being shipping and resources above all. I have to admit that I was a bit skeptical of the lip service Ambassador Zhao paid to the need for respect for indigenous peoples and their traditions in the Arctic when China itself is not known for its stellar human rights record, particularly with regard to its minorities and Tibet – not that any of the Arctic states have clean records with regard to their own treatment of indigenous peoples. Byong Hyun Lee, Ambassador to Norway for the Republic of Korea, gave a similarly cosmopolitan-minded speech that fittingly highlighted his country’s deepening relationship with Norway. 70% of the trade between those two countries has to do with shipping, shipbuilding, and offshore technology, all of which are huge industries in their own rights in each country. During his talk, although Ambassador Lee stated that the North Pole carries critical strategic importance from both an economic and security point of view for Korea, he chose to “confine himself to the economic and environmental issues” – both of which are rather less controversial than a discussion of his country’s security and military interests in the High North. Ambassador Lee said he “sincerely hopes that Korea’s contributions will be recognized,” and stated that “any change in the Arctic has global impacts and requires the strong efforts of mankind.” Korea, he described, is contributing to the council objectives of the environment, sustainable development, and indigenous peoples. For instance, Korea recently won a competition to host the new United Nations Green Climate Fund. “Low carbon and green growth is the new paradigm,” he stated. Ambassador Lee also pointed out the three successful expeditions the icebreaker, Araon (meaning all ocean), has had, even though China’s Xue Long may have obscured its most recent journey last summer. 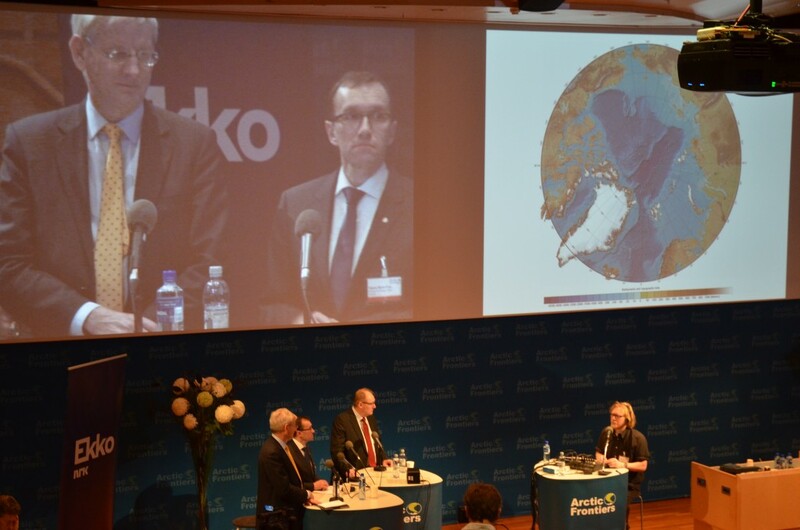 All of the speakers today hinted at the importance of cooperation in the Arctic. The main question, however, is who will be allowed into the circle of cooperation. Thus, the biggest tension might not actually be amongst the Arctic states, or even between the Arctic Five and the other three members of the Arctic Council (Finland, Iceland, and Sweden, the first two of which were notably missing from today’s program). Instead, it might be between Arctic and non-Arctic states. There is a marked difference in rhetoric and simply the light in which the Arctic was cast when comparing the speeches given by the representatives of Arctic and non-Arctic states. The words “commons,” “mankind,” and “future generations” simply do not come up as much in the language used by the former group. Ambassador Zhao spoke of a “common will to face opportunities and a spirit of cooperation.” By contrast, Aglukkaq hit home the notion making Arctic development work for Arctic people. This is a more insular perspective that the one taken by Ambassadors Zhao and Lee, who want Arctic development to work for the entire world – or, at the very least, Asia. Later, I’ll look at the speeches given by the Russian delegates and the Lieutenant Governor of Alaska, Mead Treadwell. I’m also posting memorable quotes from speakers on Twitter @miageografia.